When: Friday, January 4, 2008, from 5:00 to 7:00 p.m.
in the Maryland General Assembly!! We promote progressive solutions and approaches to achieve a better, more fair and sustainable society. We focus mainly on issues and events in and around Montgomery County, Maryland, and the Capitol region. 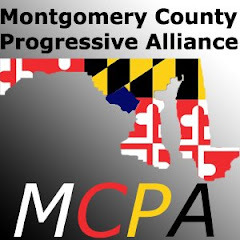 We founded the MCPA to make a positive difference on local, state and national issues. MCPA advances equal and civil rights, clean and safe communities, high quality health care and education, verified (paper ballot) voting, secure retirement, freedom, fairness and opportunity for all. We support progressive candidates and promote fair election and campaign practices to enable meaningful participation in our democracy. We demand fair and unbiased media to counter the right-wing corporate media. We research and formulate policy, support causes and candidates, and organize events, fund raisers, and campaigns to advance our ideals.